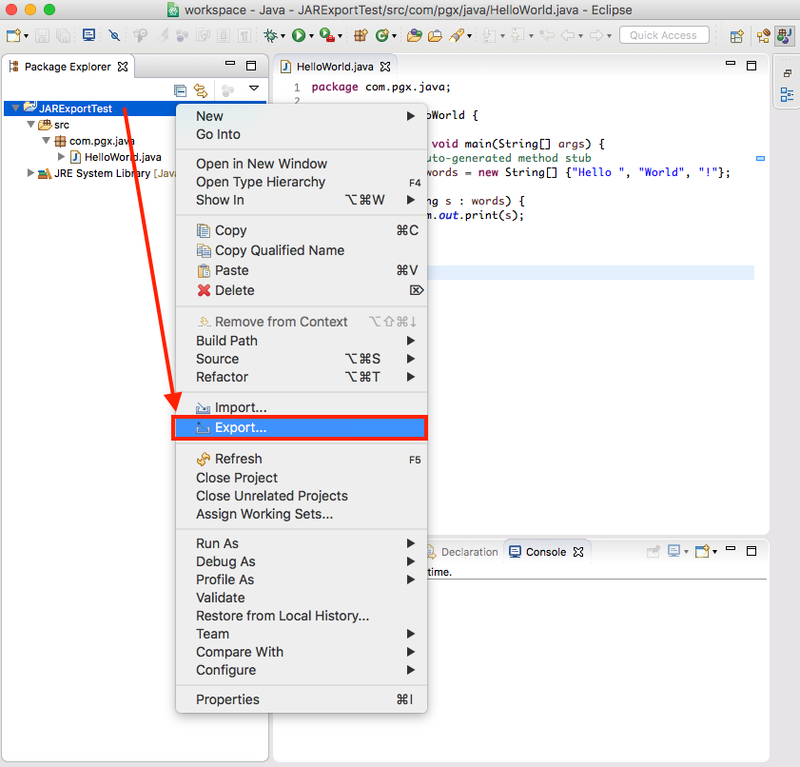 This post shows how to Export a Java Project in Eclipse Neon to a JAR file. If the JAR (Java Archive) file contains classes with main methods that have a signature public static void main(String args), the Java application can then be executed with the java command. Using the Java Perspective, right-click on the Java Project node in the Package Explorer to open its context menu. 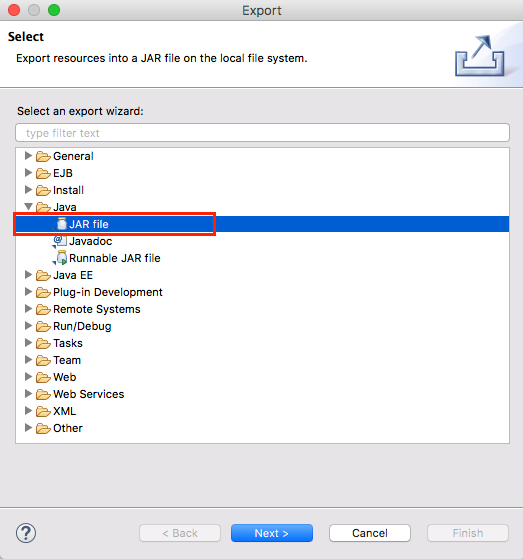 Select Export and select the JAR file export wizard under the Java node and click Next. 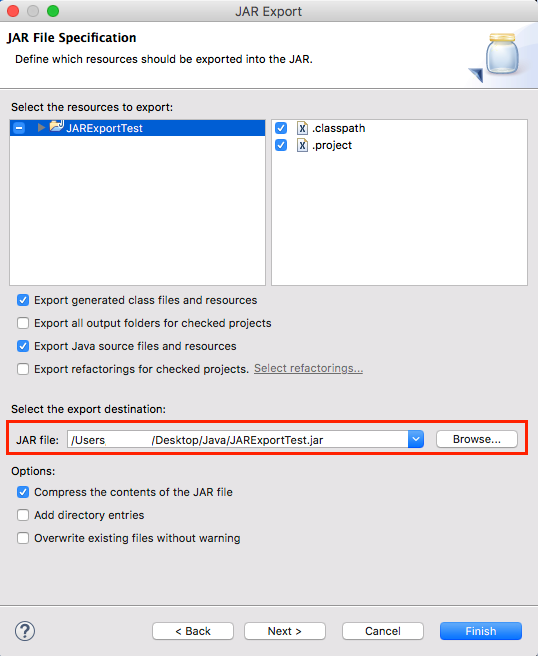 On the JAR File Specification form, set the export destination for the JAR file and click Finish. 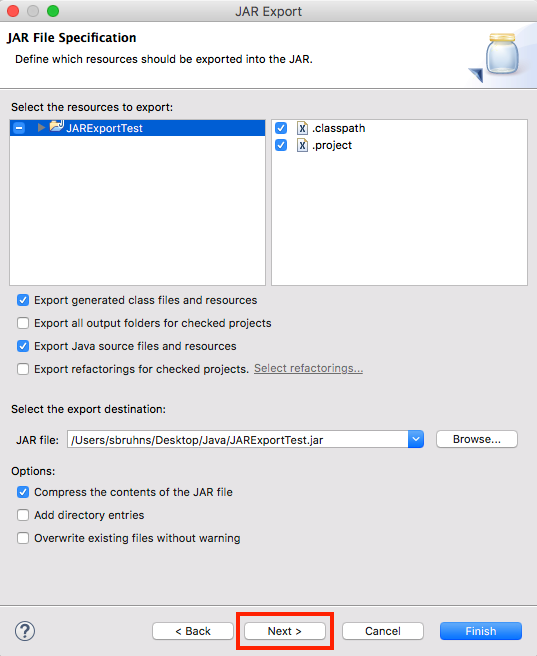 The JAR file, here named JARExportTest.jar is now available in the specified directory. Open a terminal on Mac OS or open the command prompt on Windows and go to the JAR file location. Above, the class HelloWorld containing the main method to execute is explicitly given in the java command. Alternatively, a Manifest file can be used to specify an application’s entry point. 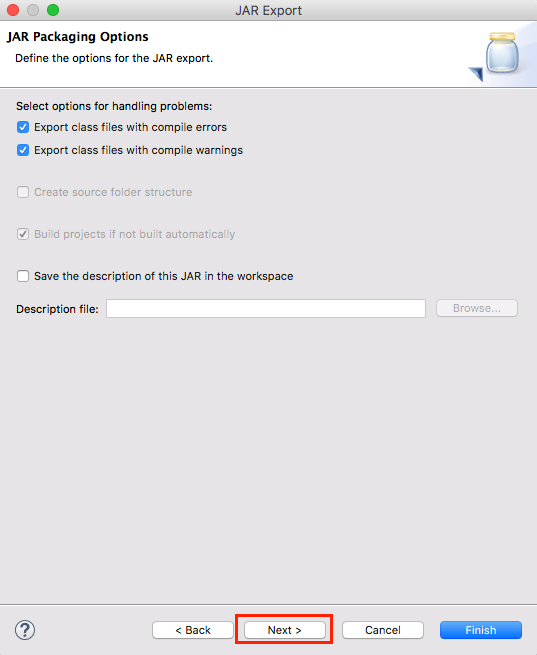 When exporting the JAR file, select Next on the JAR File Specification form. Click Next again on the JAR Packaging Options form. The next form will show the JAR Manifest Specification options. Check Save the manifest in the workspace and use the Browse button to set a location. Select the Main class, here it is HelloWorld using the Browse button. Finally, click in Finish to export the Java project to a JAR file that also contains a manifest file. 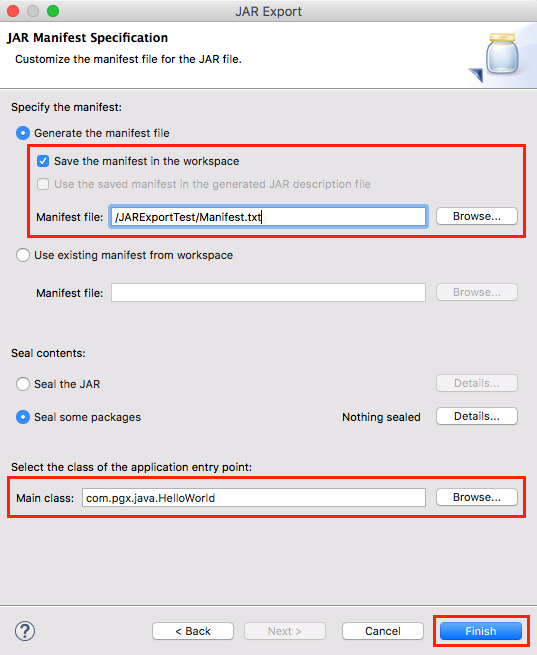 The manifest file is automatically generated and included in the Java project in Eclipse Neon. The JAR file can now be executed without specifying a main method. The java command will pick the one provided in the manifest file. Make sure to use the option -jar instead of -cp.